People are afraid to die if they don’t know what happens after death. What does the Bible say will happen to us when we die? Will we know anything after we die? There is a reason to be concerned because there is a great danger for those who do not know the truth about death. Before we discuss what happens to a man when he dies, we should first identify several manmade misconceptions as it relates to man and his experience with death. I have often heard it said that our soul is immortal, so I decided to look up those passages of Scripture in the Bible for myself. To my surprise, the Bible doesn’t say that at all. In fact, the word “immortal” is only found in the Bible one time and then it is speaking of God (1Ti 1:17). Next, I decided to look up passages of Scripture related to the soul as everlasting or eternal. Again, to my surprise, the Bible doesn’t say that either. This aspect is very important and discussed in great detail (Ref: What is Death?). (John 11:11-14) “These things said he: and after that he saith unto them, Our friend Lazarus sleepeth; but I go, that I may awake him out of sleep. The promise that “all things work together for good to them that love God” (Romans 8:28) means that our death does not take God by surprise. He has something good planned for us that is yet to occur. Scripture teaches that we are dead, ‘asleep’, until the day of Christ’s return, in which he will awaken us from the dead, and bring us back to life. When a person dies their breath (spirit)(H7307) returns to God (Ecc 12:7, James 2:26); their bodies return to dust (Gen 3:19, Psa 104:29, Ecc 12:7); and they will be brought back to life (or resurrected), on the day of our Lord Jesus’ return to the earth (Acts 24:15, John 5:28-29). The Only Way Out Of Death [Sleep] Is To Be Awakened In The Resurrection. We as Christians will be awakened, and be granted an imperishable, immortal body – never to die again. Before this resurrection, we are asleep in death. 15 For this we say to you by the word of the Lord, that we who are alive and remain until the coming of the Lord will by no means precede those who are asleep. 16 For the Lord Himself will descend from heaven with a shout, with the voice of an archangel, and with the trumpet of God. And the dead in Christ will rise first.17 Then we who are alive and remain shall be caught up together with them in the clouds to meet the Lord in the air. And thus we shall always be with the Lord.18 Therefore comfort one another with these words. The above is just a general overview. We cannot say with 100% certainty the exact order of events to come. However, the following link is one I believe provides a very close accounting and order of events to come. 3. Who Died Then Was Resurrected From The Dead, God Or Jesus? Note: It is this basic principle that actually distinguishes the difference between God and man. The Bible teaches us three basic concepts that are fundamental to all Christian beliefs. Therefore the answer to this question is simple, God has never been dead. It is fundamental to the Christian belief that a man named Jesus of Nazareth did die. This man Jesus, whom the Bible identifies as the only begotten Son of God, not only died but was dead for three days. Romans 10:9 does not say God rose from the dead rather “God hath raised him (Jesus) from the dead”, this man whom God named Jesus (John 8:40; Acts 2:22). Of course, it is only through the power of God that anything dead can be given life, just as God took the dead particles of dust from the ground and gave it life, the life which we call man. Eternal life is given man after death, not before – (Hebrews 9:27, Revelation 1:18) this is also sound doctrine because had man been given eternal life prior he would have never been able to experience death. With the full revelation of the gospel this doctrine was “brought to light” through Christ (2Ti 1:10; 1Co 15:54-55; 2Co 5:1-6; 1Th 4:13-18). 4. What People Were Raised From The Dead In The Bible? From time to time, we have reports of deaths and people being called back to life. When Christ arose from the dead, he was the first to be resurrected. It is important to note however that the resurrection speaks of that which only Christ began, that is He alone arose from the dead never to die again. So when we speak of the resurrection scripturally, don’t think of someone who has merely died and has been called back to life, because they’re going to die again. The next resurrection will only occur when Christ returns for his people (1Co 15:20, 23, 16:15; Jas 1:18; Rev 14:4). There are nine individuals in the Bible presented as being raised from the dead. Of these miraculous resurrections, three occur in the Old Testament. At least three individuals were raised from the dead by Jesus. Both Peter and Paul raised a person from the dead and most importantly of all, Jesus himself was resurrected. In addition, an untold number of saints also “arose” after Jesus’ resurrection (Matthew 27:52-53). It is also possible that Paul was raised from the dead after he was stoned and left for dead (Acts 14:19-20). This interesting account is recorded in 2 Kings 4. The Shunammite woman had no children. For a woman to be barren in those days was a great source of shame. The word says that her husband was old, which would imply he was unable to produce seed. However, because the Shunammite woman was genuinely kind and generous to the prophet Elisha, he told her she would have a child in one year’s time. God healed her and her husband and she conceived and gave birth to a son. Later on while working out in the fields something disastrous happens to her son (a head injury or possibly heat stroke) and he dies. Â The Shunammite woman hastily went to the prophet Elisha, and she insisted he go to her son and raise him from the dead. Even after he was dead, the anointing still remaining in Elisha’s bones raised someone from the dead. Earlier in 2 Kings 2:9, Elisha had boldly requested that he receive a double portion of Elijah’s anointing. However, after Elisha died it looked like it was too late for him to raise twice as many people from the dead as Elijah. Who would have ever thought that touching Elisha’s bones could raise someone from the dead; certainly not the men that were burying him! Clearly the seeds of faith we sow in the brief time we are in this world continue to grow and accomplish things even after we are long gone. The scripture doesn’t explicitly say that Paul was dead, but at best he was so close to death that the people who stoned him assumed he was dead. Either way this was a truly miraculous healing. One day Paul was being stoned to death and the next day he was marching on over to Derbe which was many miles away. 5. How Did The Twelve Apostles Die? When And How Did The Twelve Apostles Die? Summary: The Bible only mentions the deaths of two apostles, James who was put to death by Herod Agrippa I and Judas Iscariot who committed suicide shortly after the death of Christ. The details of the deaths of three of the apostles (John, the Beloved, Bartholomew and Simon the Canaanite) are not very well known at all, either by tradition or early historians. The deaths of the other 10 apostles are known by tradition or the writings of early Christian historians. According to traditions and the Bible, eight of the Apostles died as Martyrs. At least two of the Apostles, Peter and Andrew were crucified. Simon surnamed Peter: (crucified upside down)— died 33-34 years after the death of Christ. According to Smith’s Bible Dictionary there is “satisfactory evidence that he and Paul were the founders of the church at Rome, and died in that city. Recognized as the head of the original Christian community in Jerusalem (Israel), he left the city when King (Herod Agrippa I) started to persecute all Christians in Jerusalem and ordered the beheading of the Apostle James (the Great). After escaping from Jerusalem, Peter preached in Judea (originally Palestine) and in Antioch (Syria) where he is historically considered as the first patriarch (bishop) of the Orthodox Church. After staying in Antioch for some time, Peter went to Rome and converted thousands into Christianity. The emperor at the time, Nero, did not like the idea of Romans becoming Christians and used the new members of the group for his amusement (e.g. feeding them to lions or wild dogs, and then burning them at stake in Rome’s coliseum—yes, the tourist spot– if they do not renounce their faith). Peter was one of the most prominent victims of this persecution. He was captured and crucified upside-down at his own request, because he said he was not worthy to be crucified the same way as our Lord. His body lies below the altar of St. Peter’s Basilica at the Vatican City, in Rome. James (the Great): (beheaded)—the son of Zebedee, the brother of the Apostle John. He was captured and condemned to die by Herod the Agrippa 1 to please Jewish leaders who were furious at the rapid growth of the Church. James was put to death by Herod Agrippa I shortly before the day of the Passover, in the year 44 or about 11 years after the death of Christ. From Acts 12: 1-2. John: (thrown into boiling oil, but survived)—For most of his labours, John was with Peter in Jerusalem up until the persecution of Herod Agrippa I. During this period, scholars agree that Johh escaped and preached for sometime in Asia Minor (an area around Turkey). Years later, scholars have traced that he went to Rome where it was believed he was persecuted with other Christians and was thrown into a cauldron of boiling oil—he miraculously survived. The Roman emperor at the time, Dominitian, decided after the incident to banish John to the island of Patmos (in Greece). When Dominitian died, John went back to Ephesus (in Turkey) where he spent the rest of his days. He died a very old man, the only Apostle to do so. Andrew: (crucified upside down on an X-shaped cross)—Preached in Georgia (Russia), Istanbul (Turkey), Macedonia and finally Greece. There in Patros, Greece, the Governor Aegiatis was angered by the apostle’s preaching and the conversion of his own family to Christianity. He ordered Andrew to renounce his faith in front of a tribunal. When Andrew resisted, the governor ordered that Andrew be crucified. He was tied upside down to an X-shaped cross with thick, tight ropes but Andrew kept preaching to spectators. He was able to convince many to accept Christianity just before he died after suffering for three days. Parts of his remains are in Constantinople (Turkey), Scotland (England), but his skull is kept in Patras to this day. Phillip (crucified)—Preached in Greece, Syria and in Turkey (in the cities of Galatia, Phrygia and Hierapolis). Philip partnered with Bartholomew in his missions. According to sources “Through his miraculous healing and preaching, Philip converted the wife of the Preconsul of the city” of Hierapolis. This event angered the Preconsul and ordered that both Philip and Bartholomew be tortured and crucified upside down. While on the cross, Philip continued to preach and he was able to convince the crowd and the Preconsul to release Bartholomew, while insisting that he (Philip) remained crucified. Bartholomew was released but Philip died on the cross and was later buried somewhere within the city. Bartholomew: (skinned alive and beheaded)—Preached the Gospel in Mesopotamia (Iraq), Persia (Iran), Turkey, Armenia and India. He was skinned alive and beheaded at Derbent (Azerbaijan, near Russia) on the Caspian Sea by order of a local king after a majority of the people of Derbent converted to Christianity. Some of Bartholomew’s skin and bones are still kept in The Basilica of St. Bartholomew in Rome, a part of his skull is in Frankfurt, Germany and an arm is venerated at the Canterbury Cathedral in England. Matthew: (burned-to-death? )—He must have lived many years as an apostle, since he was the author of the Gospel of Matthew which was written at least twenty years after the death of Christ. Christian tradition says he preached in Ethiopia (in Africa), Judea (Israel today), Macedonia, Syria and Parthia (northeast Iran). Bible scholars have different versions on how he died. Some say he was either killed with a sword in Parthia or he died a natural death in Ethiopia. Thomas: (impaled by a spear)—Called by most Christians as the “Doubting Thomas” for disbelieving the Lord’s Resurrection. But after his doubts were erased by touching Jesus’ wounds, he became a fearless preacher of the Gospel and builder of churches. He was one of the first Apostles who preached outside the boundaries of the vast Roman Empire (out of Europe). He preached in Babylon (present day Iraq) and established its first Christian church. Then he went to Persia (Iran) and travelled as far as China and India. He was martyred in Mylapore, India when a local king named Masdai condemned Thomas to death. The Apostle angered the Brahmins (high ranked priests/scholars who served as the king’s advisers) who thought Christianity disrespected India’s Caste System. Thomas was brought to a nearby mountain and was stabbed-to-death with a spear. He is believed to be buried around the suburb of Madras, in India.The earlier traditions, as believed in the fourth century, say he preached in Parthia or Persia, and was finally buried at Edessa. James Alpheus (the Lesser): (stoned and clubbed-to-death)—We know he lived at least five years after the death of Christ because of mentions in the Bible. Believed to have preached in Damascus (Syria) and acknowledged as the first bishop of the Christians in Jerusalem (Israel). Historians say he was sentenced to be stoned-to-death by the Jews for challenging Jewish Laws and for convincing some of members of the Jewish community to convert to Christianity. James died when during the stoning, one person from the crowd approached him and bashed his head with a fullers club (a piece of wood used for bashing-washing clothes). He was buried on the spot where he died, somewhere in Jerusalem. Simon (the Canaanite): (sawed or axed-to-death? )—Before becoming an apostle, Simon was a member of the “Zealots”, a political movement rebelling against the Roman occupation of Jerusalem. Identified by some as the second Bishop of Jerusalem after James the Lesser (who was beheaded). He’s also believed to have preached in the Middle East, North Africa, Egypt, Mauritania and even Britain. His martyrdom is being debated by scholars and historians who claim Simon might have been crucified by the Romans in Lincolnshire, Britain, crucified in Samaria (Israel) after a failed revolt or sawed-to-death in Suanir, Persia with Jude Thaddeus. Jude (Thaddeus): (sawed or axed to death? )—He was a partner of Simon the Zealot and together they preached and converted non-believers in Judea (Israel), Persia (Iran), Samaria (Israel), Idumaea (near Jordan), Syria, Mesopotamia (Iran) and Libya. It is also widely believed that Jude travelled and preached in Beirut, Lebanon. He also helped Bartholomew in bringing Christianity to Armenia. The cause of his death in unclear because of the existence of two versions: (1) He was crucified in Edessa, Turkey; (2) He was clubbed-to-death and his body was either sawed or axed in pieces after (together with Simon the Zealot). Some sources say he was buried either in Northern Persia or the most accepted version that his remains are buried in a crypt at St. Peter’s Basilica in Rome. Judas Iscariot: (suicide, death by hanging)—Best known as the apostle who betrayed the Lord by divulging His location, leading to His arrest and persecution. He received 30 pieces of silver from Jewish priests for the information he gave. Shortly after the death of Christ Judas killed himself. According to the Bible he hanged himself, (Matthew 27:5) at Aceldama, on the southern slope of the valley of Hinnom, near Jerusalem, and in the act he fell down a precipice and was dashed into pieces. Note: There were the twelve apostles chosen by Jesus. Eleven are named in Acts 1:13, “Peter and John, and James and Andrew, Philip and Thomas, Bartholomew and Matthew, James the son of Alphaeus and Simon the Zealot, and Judas the son of James. “ Judas Iscariot, one of the original twelve, the one who betrayed Jesus, is not named in that list. That’s the original twelve. Then add Matthias who replaced Judas Iscariot to become one of the twelve apostles of the Lamb (Acts 1:26). “And the wall of the city had twelve foundations, and in them the names of the twelve apostles of the Lamb” (Revelation 21:14). When we include both Judas and Matthias the total is now thirteen. We know additional apostles besides these men exist because Christ, after His ascension, appointed “some as apostles, some as prophets, some as evangelists, and some as pastors and teachers . . . until we all attain to the unity of the faith and of the knowledge of the Son of God, to a mature man, to the measure of the stature which belongs to the fullness of Christ” (Ephesians 4:11-13). 7. What Happens To Your Soul If You Commit Suicide? The only difference is that the victim is oneself. Taking the life of a person is against the laws of man and of God (Exo 20:13, 1Jn 3:4, Jas 4:17, 1Jn 5:17). Even a murderer can be saved, if he repents (1Jn 1:9). These individuals certainly could not be part of the 1st resurrection when Christ returns for the Saints; those classified as Holy and without blemish (without sin) (Eph 5:27, 2Peter 3:14). Those individuals who have committed suicide (sin) will be with those remaining after the tribulation having to appear before God and judgment. 8. 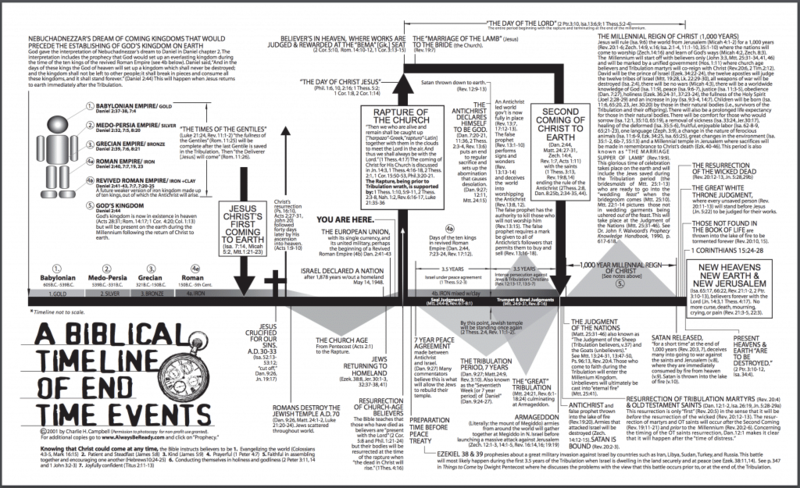 What Happens If I Die Before I Confess A Sin? Let’s first keep in mind what the penalty for sin is, because that penalty has NEVER CHANGED!! The Bible says when (not if) you sin, you automatically earn the penalty of death. This was the same penalty Adam received (Rom 5:12-14), albeit under a different set of circumstances. It has been argued that Adam’s acknowledgement of his disobedience (Gen 3:11-12) was a “confession.” It was more likely considered an acknowledgement because he was “caught” and not something He intended to do. Let’s be clear, there is no record of Adam ever asking for forgiveness. Note: The word “if” (the stipulation) means as long as we are walking in the light (living Holy). Of course we are not in the light if we have un-repented or un-confessed “sin” which yet remains a part of our life. So what happens if you do not confess your sin before death? The result is the same as it would be for suicide. 9. What Happens If I Am Cremated? Will God raise up those who are cremated? This is similar in nature to those questions asked of those martyrs during the Roman era who were burned at the stake or torn and eaten by animals. The answer is the same and applies to any type of death, including those who have been dead a sufficient amount of time for their bodies to return to dust. Flesh and blood will not inherit the kingdom of heaven, so it doesn’t matter what happens to our flesh after we die. We will all be given a “new” body that does not decay or grow old. Any of the things that can keep a body from being whole at death will have no effect on the spiritual body everyone will receive (Acts 24:15, 1Cor 15:44). However the final destination and end result will vary. 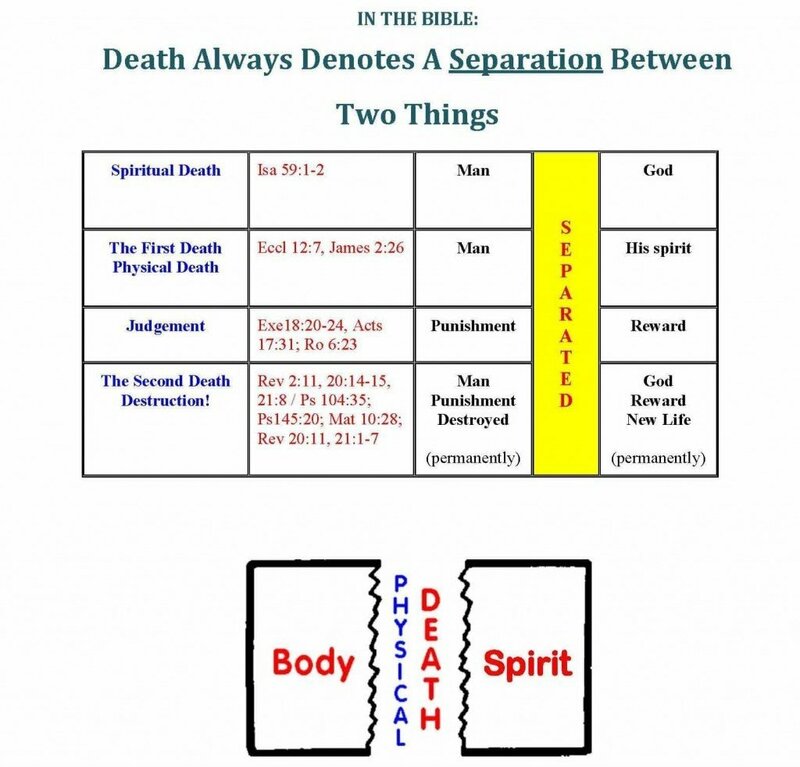 Either you will spend eternity with God or receive eternal punishment (John 5:28-29, 2Th 1:7-10, 2Peter 2:9).